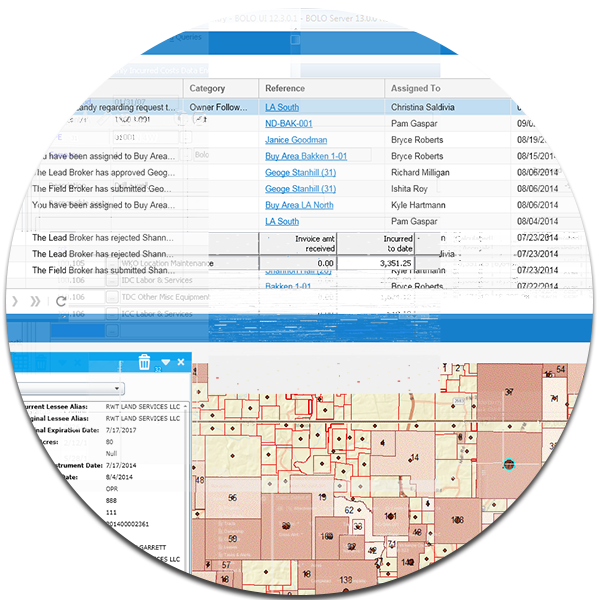 Because P2 Land can be used by your entire team, your landmen are no longer beholden to your mapping department for information. 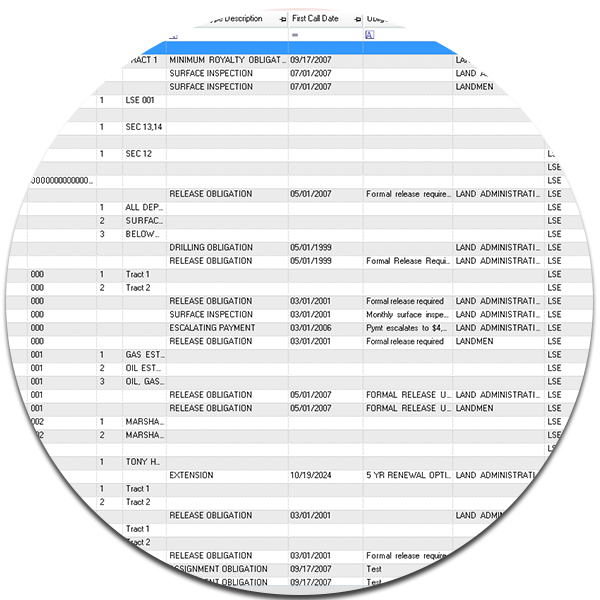 Instead, when determining the organization’s drilling options, they can independently access all of the contract information they need, when they need it. 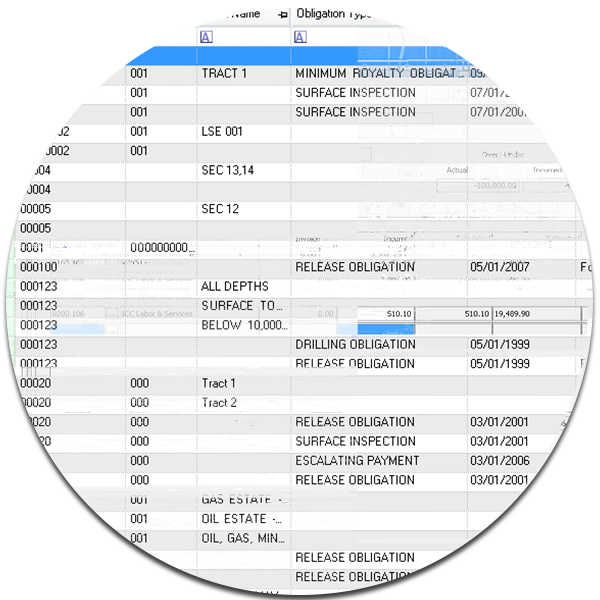 When everyone is self-reliant, your lease analysts can devote their time to a critical task – safeguarding the organization’s existing assets. 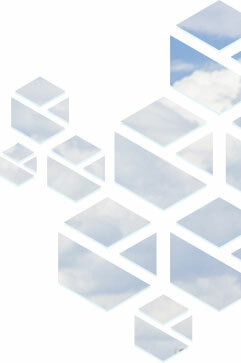 They can set up contracts, zoom to legal descriptions, and manage critical obligations all with ease. Generating reports is to oil and gas teams as writing is to journalists: it’s done often. 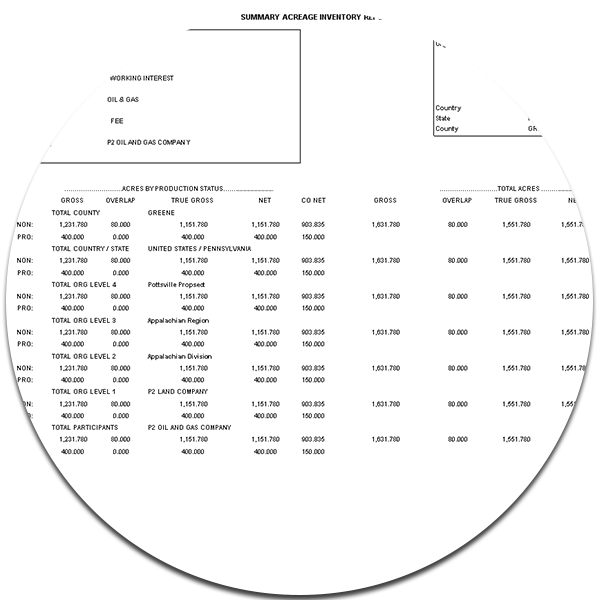 Therefore, getting the report you need should be quick and painless. And with P2 Land, it is. Search for any contract terms and produce your desired report with just a few clicks. Uploading critical provisions – Pugh Clauses, pooling provisions, shut-in provisions, and others – has never been easier. 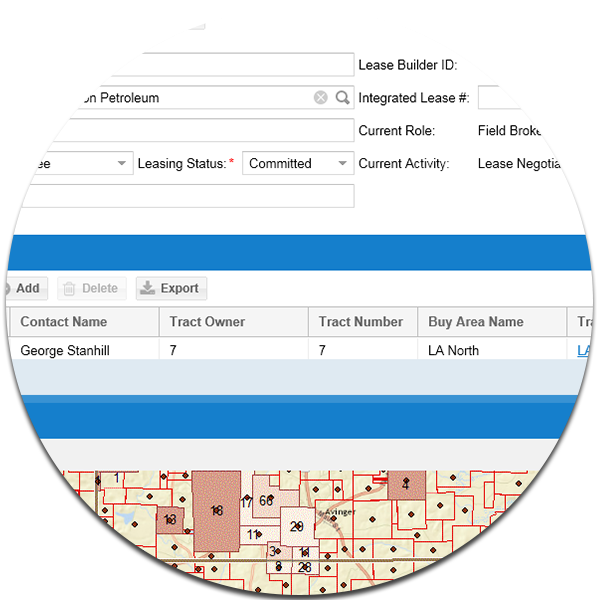 The faster provisions are entered, the faster your lease analysts can go to work managing them. When you have the ability to visualize your contract position, you also have the ability to make the best business decisions possible. With P2 Land’s map, you can see where all of your contracts are located. Need to analyze a certain one in more detail? No problem. Just click on it and an image of it will pop up.